The party may have ended, but the fun has just begun and there’s still plenty of time to sign up for summer reading. And just a glance at our calendar shows you all the fun events and programs we have coming up. 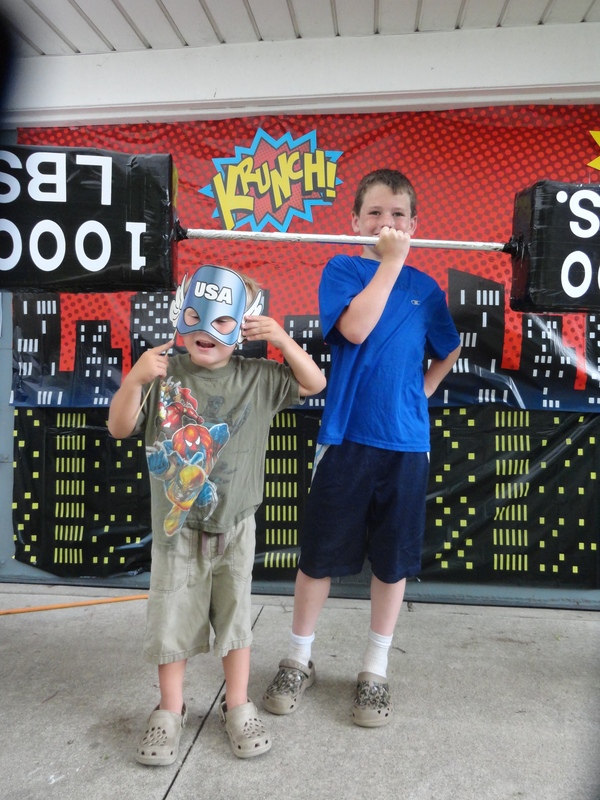 Grant and Linsey take aim at supervillains during our Summer Reading kickoff party. 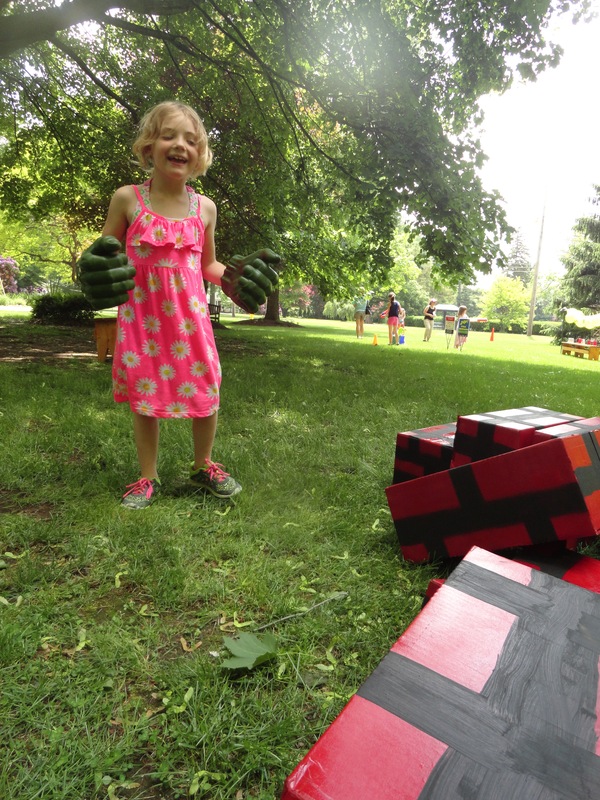 On Marvelous Mondays, kids can have fun with superhero crafts, games and experiments on the Read House lawn. Our first is June 8. Kids can come dressed as their favorite superhero. On Thursday evenings, community heroes like nurses, police officers and firemen will join the library for special story times. After all, not all heroes wear capes. On June 11, a nurse will lead a teddy bear clinic. The library will also be celebrating literary heroes like Junie B. Jones, Wimpy Kid and Dr. Seuss this summer. For example, kids can learn the power of positive thinking with Pete the Cat at 1 p.m. on Thursday, June 4, at our Main Branch. 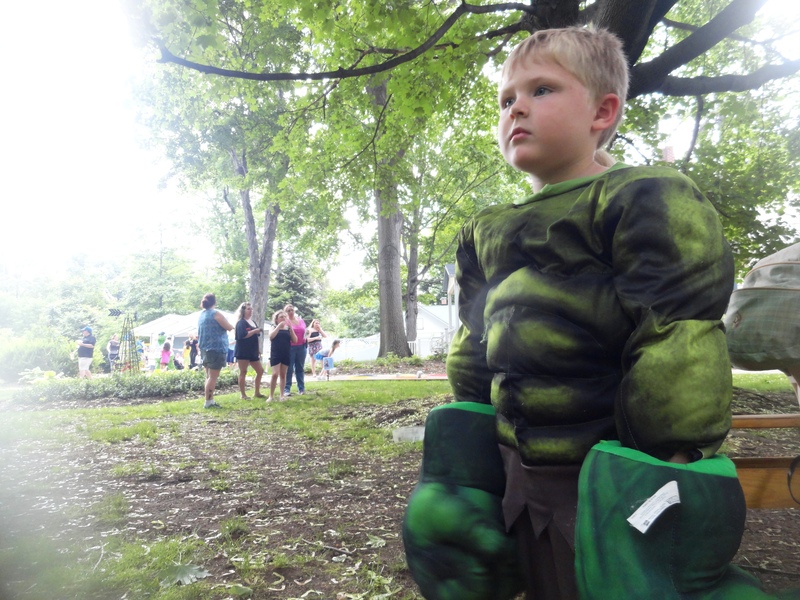 Tristan hulks up during our kickoff party. We believe that reading is its own reward. However, kids can still receive prizes from us for reading or being read to. Every hour they read earns them a ticket in a raffle where they can win everything from telescopes and microscopes to Lego sets and Princess Powerful Barbie. If they read 20 hours this summer, they also receive a golden ticket in a raffle to win one of two $50 gift certificates from Toys ‘R’ Us. Additionally, children who read or are read to up to 15 hours will receive a Library Champion lawn sign and window cling. Matt tests his accuracy with a shield during our Captain America challenge. We’ve talked a lot about kids here, but summer reading is for anyone who wants to stimulate their creativity and satisfy their curiosity. 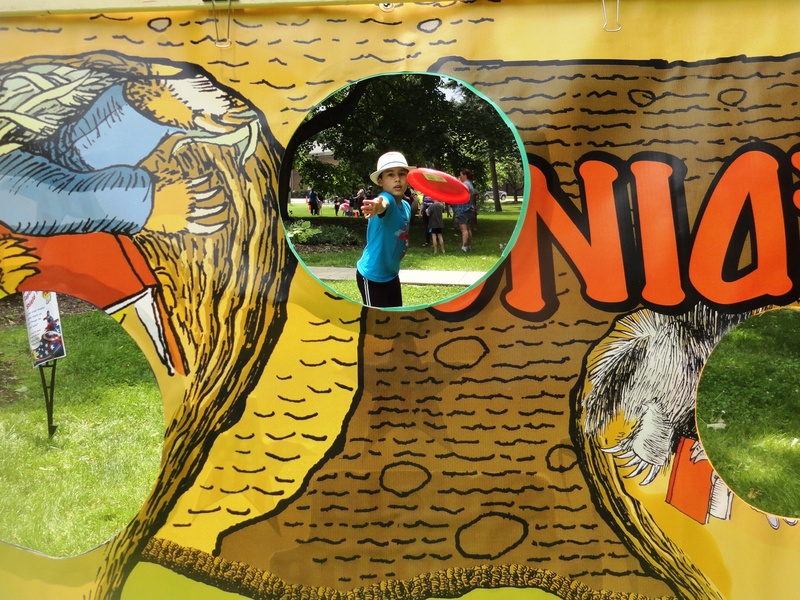 Everyone who participates in the summer reading programs—either by reading books or attending library programs—has a chance to win prizes. The more someone reads, the better chance they have of winning. 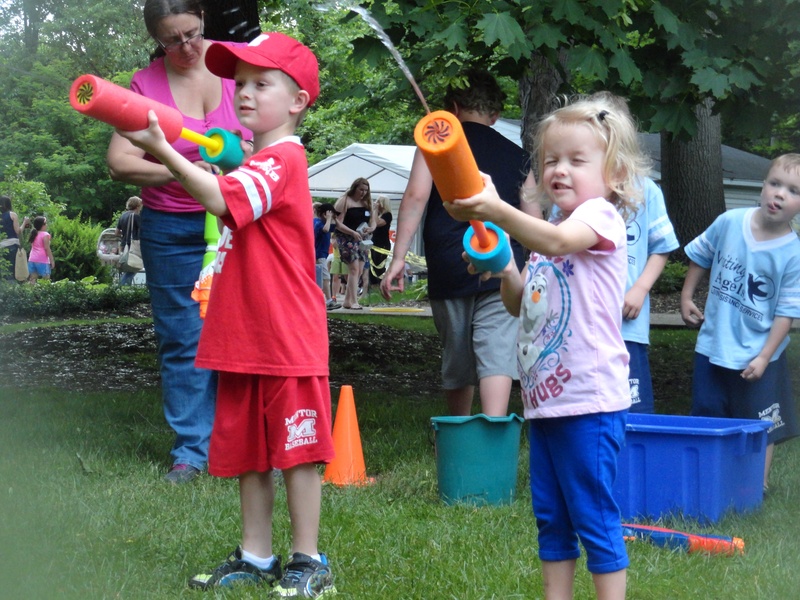 For more information on Mentor Library’s summer reading program, call 440-255-8811 or visit Mentor Library’s website. Natalie is really excited about the Hulk Smash. For more photos from our Summer Reading kickoff, visit Mentor Library’s Facebook page. This entry was posted in Uncategorized and tagged escape the ordinary, Every Hero has a Story, Mentor Public Library, summer reading, unmask. Bookmark the permalink.